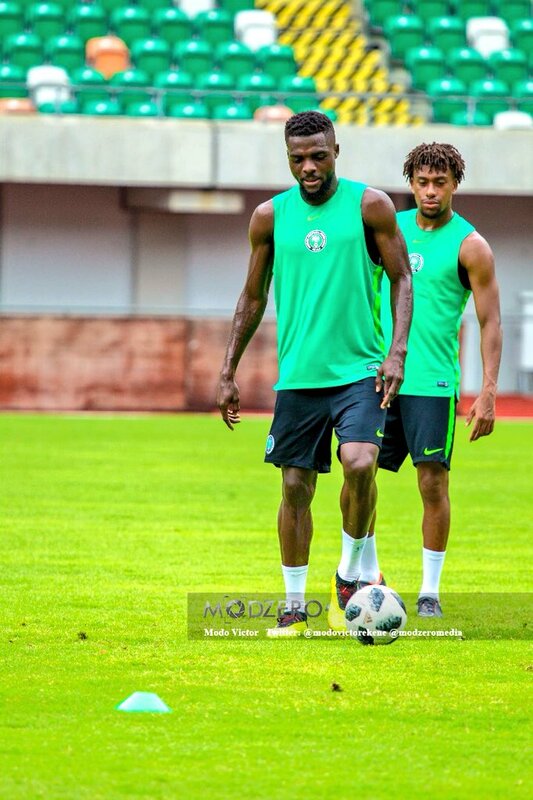 By Okey Onwugbonu Super Eagles coach, Gernot Rohr promised to prune down his 30 man provisional list for the World Cup to 25 after the game against DR Congo in Port Harcourt and with Moses Simon “ruled out” of the trip to Russia, he would need to drop just four. After the Super Eagles 1-1 draw against DR Congo, some players cemented their place on the plane to Russia, others shot themselves in the foot, while some didn’t even get a look-in which may imply that their fate has already been sealed. And despite the clamour for the inclusion of Kelechi Nwakali, Rohr had said the provisional list cannot be altered. Rohr had also informed Nigerians that he already knows 20 out of the 23 players he’d be taking to Russia, leaving only 3 slots to fight for, make that 4 with the injury to Simon. Who is likely to gate crash the World Cup party after the Congo game? 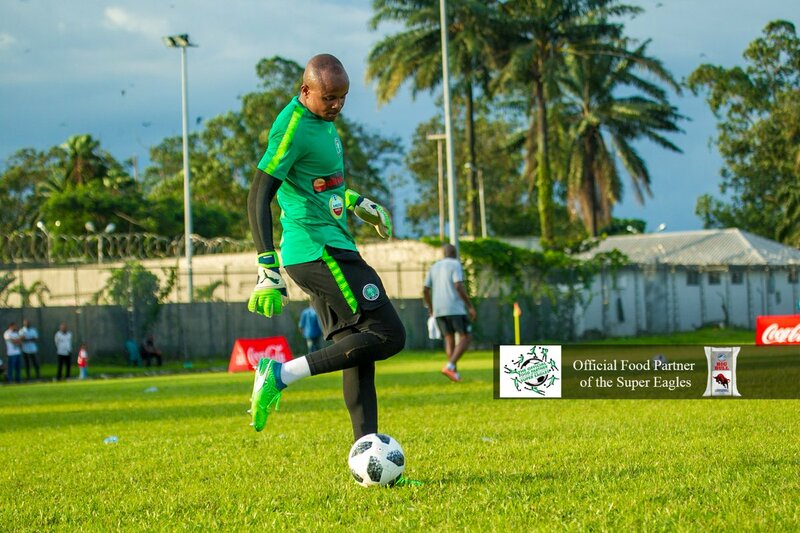 I reckon Rohr would take 3 goal keepers, 8 defenders, 6 midfielders and 6 attackers to the World Cup. Gernot Rohr rewards loyalty and prefers sticking to what he is used to rather than spring up surprises. He hardly ever changes his mind if his antecedents are anything to go by, so I expect Dele Ajiboye to be dropped. Rohr has shown his hand in favour of Francis Uzoho by playing him for 90 minutes in three straight friendly games and the young keeper seems to be repaying Rohr’s trust if his performance against Congo DR is anything to go by. 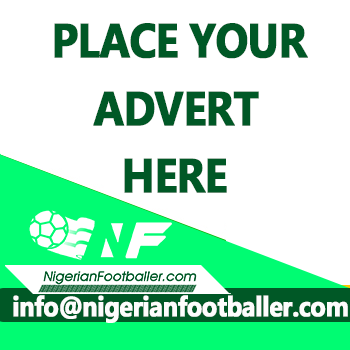 And Rohr certainly needs the experience of Daniel Akpeye despite his shortcomings, and we don’t expect him to drop Ikechukwu Ezenwa after his exploits during qualifiers in favour of his deputy in the Eagles home based team Ajiboye. 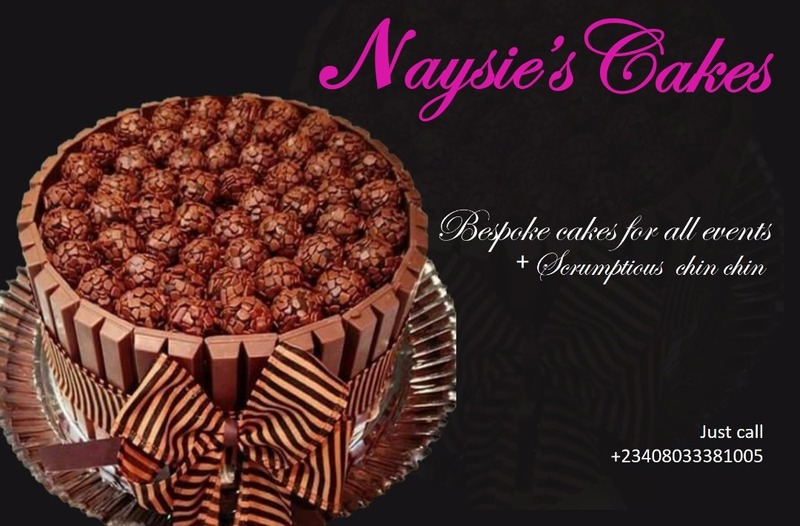 Ajiboye I think is in the team to keep other goal keepers on their toes. No surprises here as Ajiboye would be dropped. Our oyinbo wall comprising of Leon Balogun and Troost Ekong who got the goal against Congo are certainly going to the World Cup, so are the duo of Kenneth Omeruo and Chidozie Awaziem to offer adequate cover for central defense. Former Kano Pillars man, Stephen Eze who now plays for Lokomotiv Plovdiv of Bulgaria has not yet been tried and should be axed as his fate has been sealed. 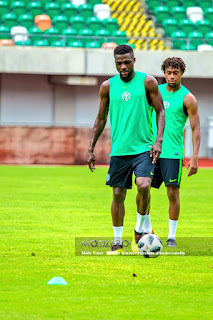 Bryan Idowu seems to have wrestled the left full-back slot from Elderson Echiejile but I expect both of them to make the team while the last slot will be for the right full-back position, Shehu Abdullahi already has one slot so Ola Aina and Tyronne Ebuehi must slug it out for the other spot. Both players played against Congo, while Ebuehi performed creditably well, Aina gave away a penalty and didn’t put up a solid performance. Despite his versatility and skills I don’t see Aina making the cut. Captain of the side John Mikel Obi is the first name on the list to Russia and should be accompanied in midfield by trusted legs Ogenyi Onazi, Wilfred Ndidi, and Oghenekaro Etebo who put up assuring performances week in week out for relegated La Liga side, Las Palmas although he is yet to deliver for the Eagles. Joel Obi yet again flattered to deceive not showing the creative spark fans have been craving for, while Mikel Agu did his chances a whole lot of good with his by the book performance. 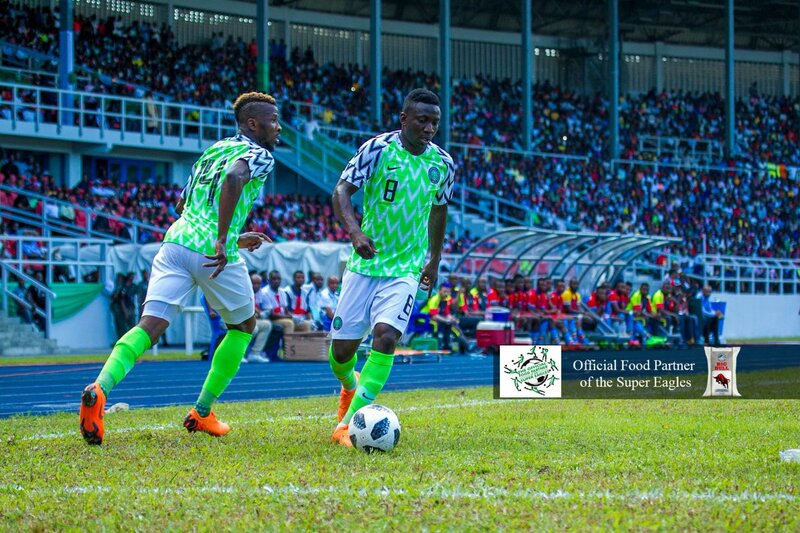 John Ogu and Uche Agbo were absent but I think Ogu has done enough to avoid the cut especially for his marksmanship and ability to shoot from range. We are yet to really see Uche Agbo play and I doubt we will anytime soon, since he was not in action against Congo, being able to play in defense and midfield notwithstanding, for me he doesn’t stand a chance and should be axed alongside Joel Obi. 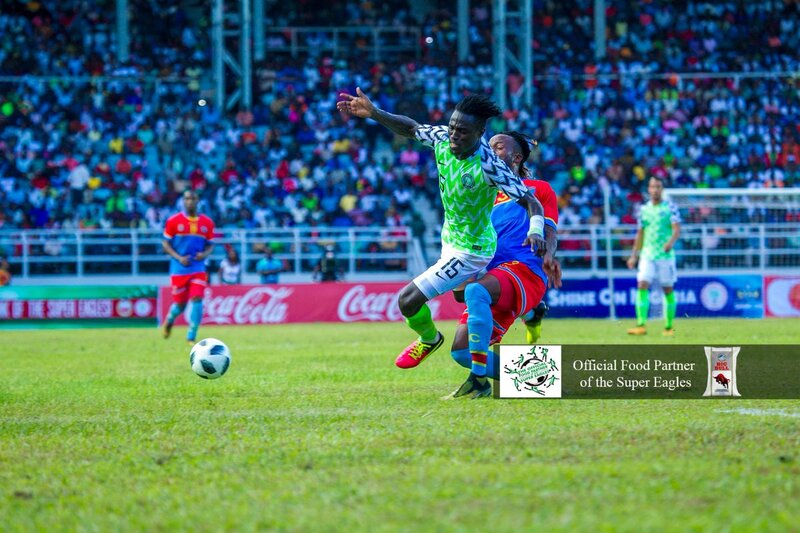 Junior Lokosa may be the hottest Nigerian striker the world over presently and also put in a man of the match performance against Congo playing as a right winger. 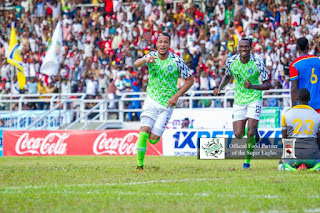 In the absence of Simon Moses it will be a straight fight between Lokosa and Simeon Nwankwo who can’t be shoved aside quite easily after scoring 7 goals in the Serie A including an overhead kick against Juventus and playing quite well in his Eagles debut only denied a debut goal despite lack of adequate service by the woodwork. If Rohr wants a replacement for Simon then it will be Lokosa as Etebo didn’t live up to expectation as a winger against Congo, but Rohr has stated that he needs a battling ram and Nwankwo to an extent fits the bill. Maybe Rohr would sacrifice a defender and take two of them. Since someone like Idowu can play across the back four, in that case two out of Echiejile, Aina and Ebuehi may give way. Alex Iwobi, Victor Moses, and a resurgent Ahmed Musa are sure bets and would make up the party. Baring injuries Dele Ajiboye, Ola Aina, Stephen Eze and Uche Agbo should be dropped while Junior Lokosa and Joel Obi would be axed when the team is trimmed to 23 from 25.